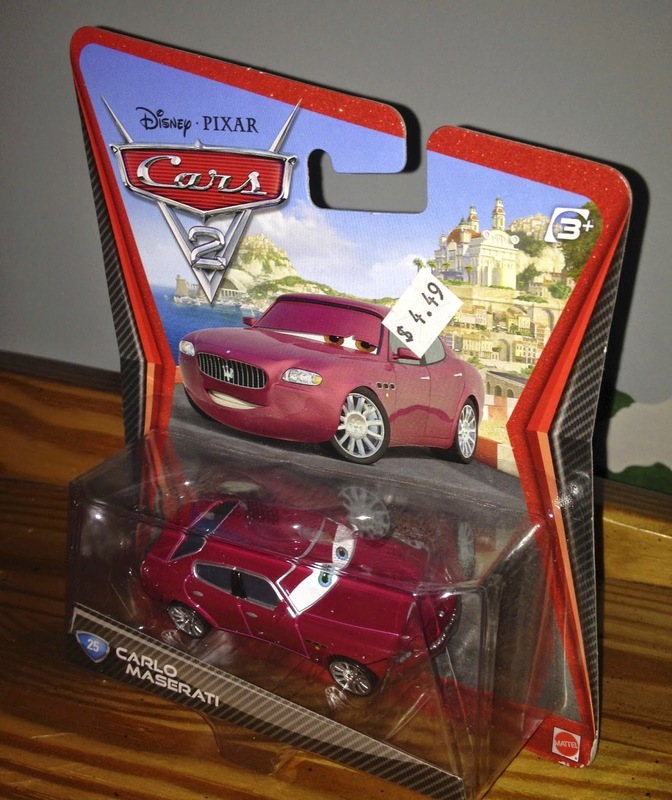 Here we have Mattel's 1:55 scale diecast of Carlo Maserati from Cars 2! He was released in late 2011 and was part of the original Cars 2 collection (#25). In the film, Carlo is only seen in the background for a brief moment, during one of the establishing shots of the Porto Corsa, Italy casino (screen shot above).